Your first visit will vary depending on what services you want. FREE 15 minute general consultations are offered to determine what treatment option(s) are best suited for you. ACUPUNCTURE: Typically, for acupuncture, only visits, the new patient intake with an acupuncture treatment can be done all in one session. Your new patient visit consists of a complete health history and review of your present condition. We will discuss your diet, lifestyle, stress, exercise, sleep, etc. A brief physical examination will be conducted, your pulse taken and your tongue will be examined according to the Chinese Medicine diagnostic system. Then we will determine a treatment strategy that best suits your needs. Recommendations on diet, lifestyle, or therapeutic exercises may also be given. In subsequent visits, less time will be needed. Expect a new patient visit to last approximately 1 hour 30 minutes. Subsequent visits will last approximately 1 hour. These times include the 30 minutes that you will lay on the table with the acupuncture needles inserted. If you decide you want Holistic Primary Care services along with acupuncture, your intake and acupuncture treatment will be done on separate days. See the Holistic Primary Care page for information on that visit. CUPPING: Cupping may be done in conjunction with any treatment or separately. CHINESE HERBS: Herbs may be given in conjunction with any treatments in order to help you achieve your optimal level of wellness quicker. Pricing will vary. AROMATHERAPY: Aromatherapy May be added to any treatment. Oils used will be based on individual need. Package of 5 Acupuncture treatments: $315 10% OFF! 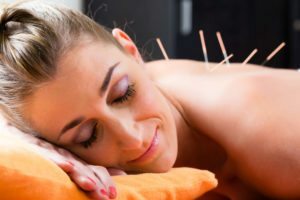 Package of 10 Acupuncture treatments: $560 20% OFF!